Walters & Cohen Architects in 2014 were invited to design a new building for Mitchinson’s House, one of the three Day Houses, which has been relocated from its current site at Mint Yard as part of the new science development. 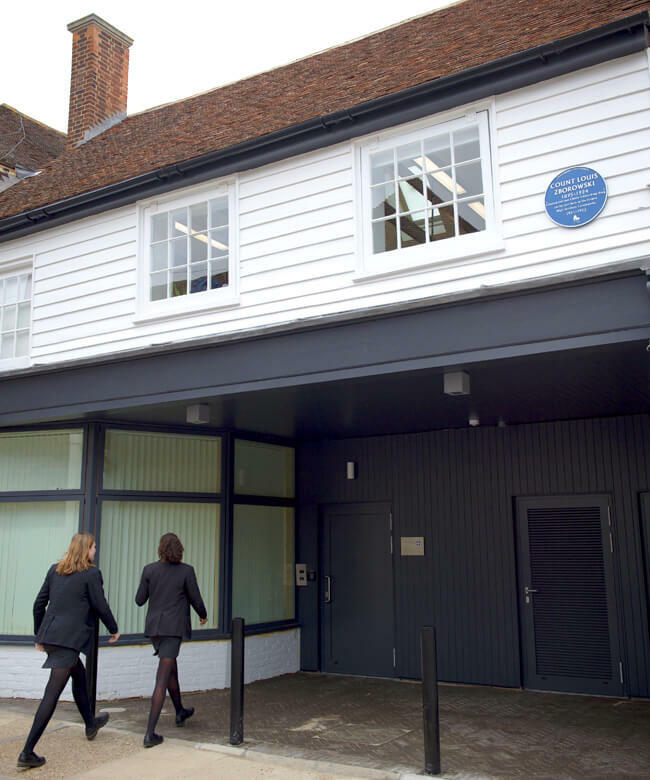 Mitchinson’s House has outgrown its location and a space audit confirmed that the site was better suited to the creation of a new Science Centre. The new Mitchinson’s is housed in an historic Grade II listed building on nearby St Radigunds Street, the former autoworks garage of Count Zborowski where the original Chitty Chitty Bang Bang racing cars were built. Day houses are an important part of the school’s pastoral and academic structure, providing a base where non-boarding students can study, relax and socialise. The new building will provide study spaces with individual desks, a kitchenette, a TV/common room, changing rooms, lockers, and offices for the Housemaster/mistress, the Deputy and Matron. Due to the large wall boundary on the east, daylight and ventilation are drawn into the deepest part of the plan by a glazed lightwell, creating a pleasant internal courtyard. The ground floor study rooms open on to soft landscaping and the common room opens on to a terrace. 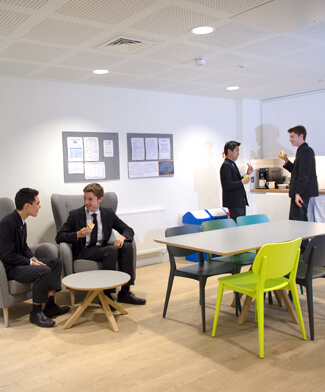 A Sixth Form study space is located in the first floor of the listed building, with its own social area. A house in Duck Lane has been refurbished to provide a family home for the Housemistress, with the garden room providing a link to the Day House. The adjacent car park provides a safe and convenient drop-off and pick-up point for the pupils, as well as cycle parking. 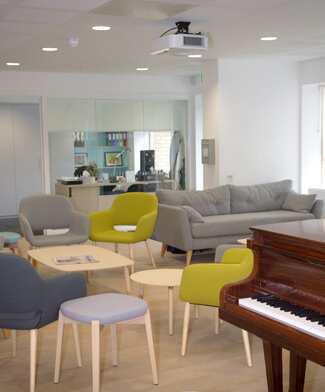 The new Mitchinson’s Day House opened in Spring 2018.